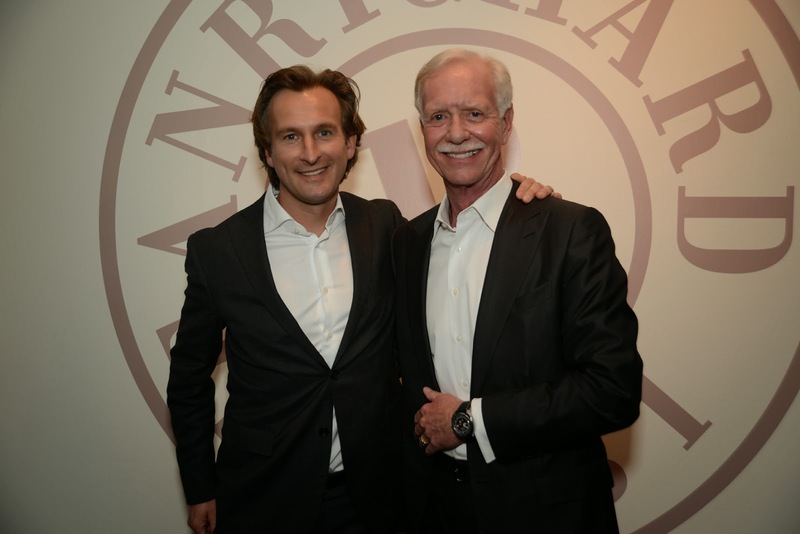 On Tuesday, January 14th, Swiss luxury watchmaker JeanRichard honored its brand ambassador, Captain Chelsey "Sully" Sullenberger to commemorate the 5th anniversary of the landing of Flight 1549 on the Hudson River with the launch of the special edition “208 Seconds” Aeroscope watch. The event, which took place at Tourneau TimeMachine on 57th Street and Madison Avenue in New York City, celebrated how the American hero saved 155 people in only 208 seconds on January 15, 2009 (talk about using your time wisely). 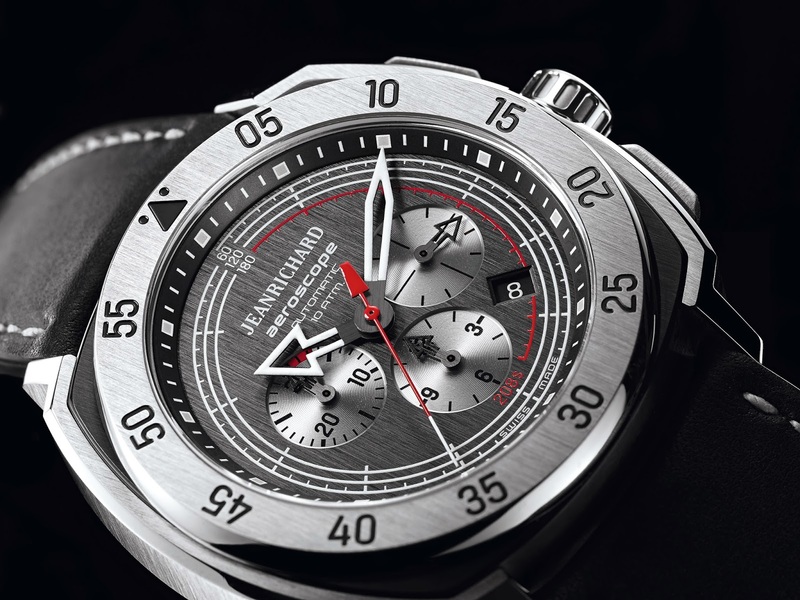 208 seconds made Captain Sullenberger a hero and the watch's automatic chronograph movement perfectly embodies the spirit and respect that the Captain and JeanRichard have for time. The 208 seconds are represented by a subtle marked white and red timeline on the timepiece’s black dial. Available on a black Barenia® calfskin strap, the JeanRichard “208 Seconds” Aeroscope is a re-interpretation of the old aviators’ watches, and with its titanium cushion-shaped case shares a man’s most enduring dream with style. 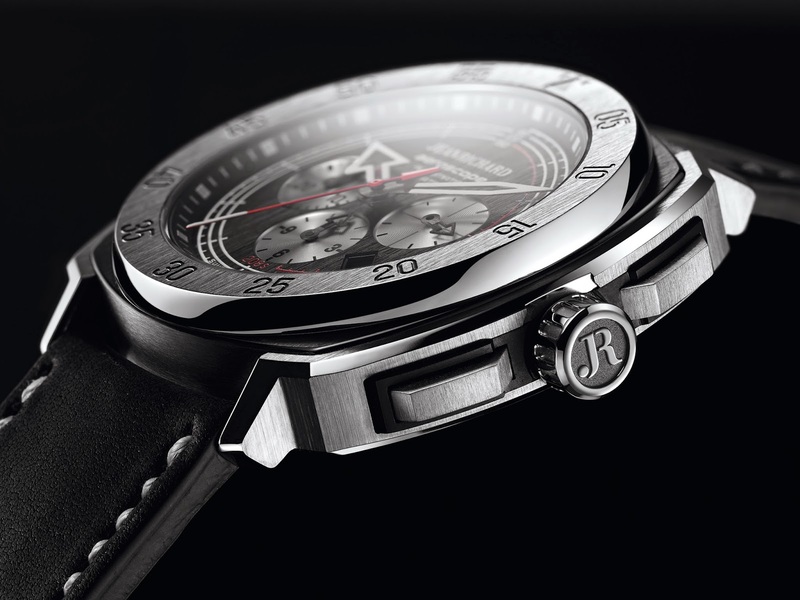 Part of the proceeds of the watch will go to The American Red Cross and The Rory Staunton Foundation, two of Captain Sullenberger's philanthropic endeavors. 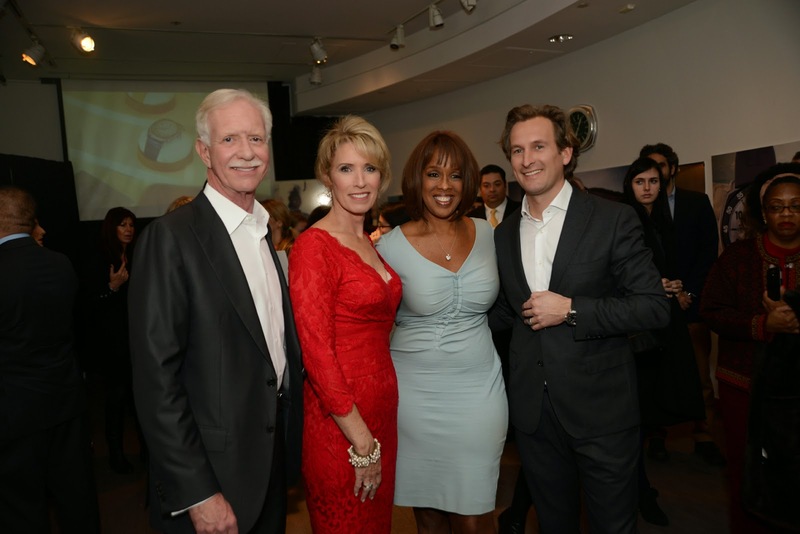 Gayle King checks out Captain Sullenburger's "208 Seconds" Aeroscope Timepiece. I wonder what it takes to be Gayle's Gayle? Throughout the event guests also participated in a social media challenge, where they were tasked to take a wrist shot of the new “208 Seconds” Aeroscope and post it to their Instagram account. The “Best Shot” as re-grammed on January 15th, through the brand’s Instagram account (@JRwatches). The winner was Valentine Uhovski who received a “208 Seconds” Aeroscope watch (super lucky)! 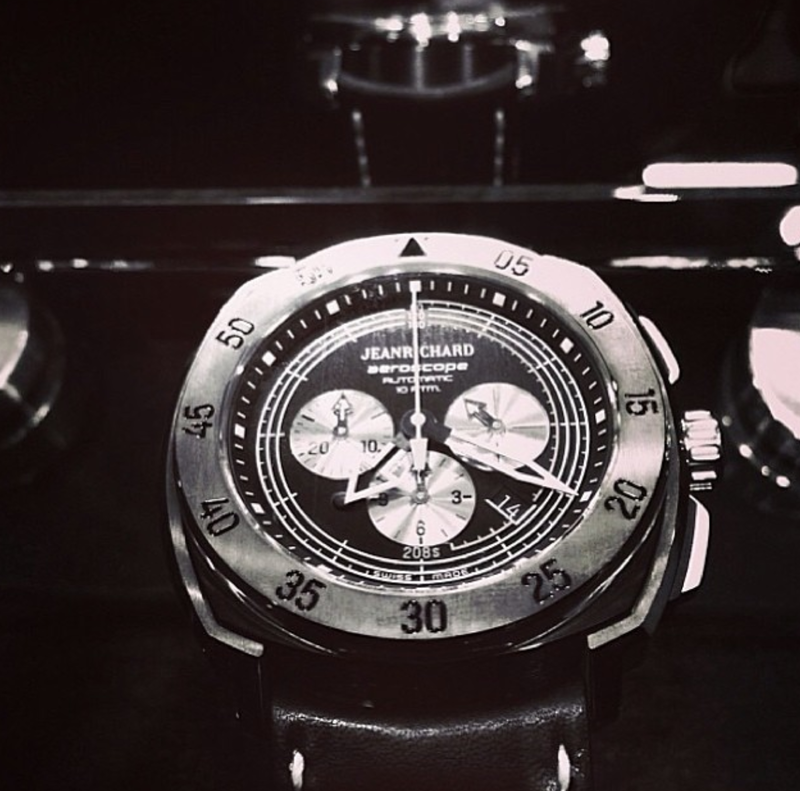 Event guest's taking photos of the "208 Seconds" Aeroscope Timepiece to enter JeanRichard's Instagram contest. In addition, guests were able to have a sneak peek at the rest of the JeanRichard collections, featured in a special exhibit on display at Tourneau TimeMachine until February 28th. The exhibit showcases the brand’s four core collections, Terrascope, Aquascope, Aeroscope and 1681 and delves into the inspirations behind them through earth, water, air and the brand’s history and fire of passion for watchmaking. An installation of memorable timepieces that have experienced extraordinary adventure and represent the brand’s values and Philosophy of Life can also be viewed during this special JeanRichard display. 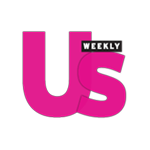 These include the timepiece high-wire artist Nik Wallenda wore while crossing the Grand Canyon, Captain “Sully” Sullenberger’s newly released “208 Seconds” limited edition watch and a Terrascope watch worn to the top of Mt. Everest! Check out some amazing product shots of the "208 Seconds" Aeroscope Timepiece below!